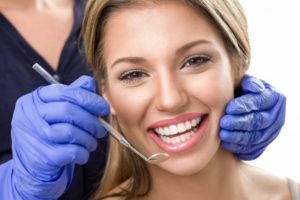 Despite what media or rumors have had you think, your dentist will only recommend that you get a root canal in Yuba City if it’s completely necessary. The next step after that would be extraction. Since your dentist works to keep your natural teeth strong and durable for a lifetime, they will do everything in their power to save your teeth before pulling them. This will also help you save time and money because you won’t have to worry about replacing that extracted tooth with a prosthetic after it’s been pulled. Although you can ask all the questions you need during a consultation, reviewing this information may help you feel more comfortable about root canal therapy. A root canal with help you resolve your dental pain by removing the infection and sealing your tooth from future infections. It actually doesn’t cause pain, but removes an inflamed part of your tooth that’s causing the dental pain. Root canal therapy is your friend, not a foe! As mentioned above, your dentist will only recommend the best-fitting, long-lasting solutions for your smile problems. With that being said, we would never discourage you from looking elsewhere for another opinion, though. We want you to feel confident in the decision you make, so feel free to reach out to another dental professional if you need extra reassurance before moving forward. How can you maintain the results of a root canal? Getting a root canal will leave your smile free of infection, so it’s up to you to maintain that status for your smile. Right after the procedure, your smile will be sensitive and susceptible to infection, still. That’s why your dentist will walk you through the exact steps you need to take to clean your teeth as well as what foods to eat and what do avoid. Your dentist will have filled the tooth with a dental material called gutta percha and sealed it with a dental crown, so maintenance in the future is relatively easy! If you’re experiencing discomfort related to your decayed or damaged tooth, don’t put off getting a professional’s opinion. Here at Fit Dental, we know that no one should deal with dental pain on their own. When you choose to visit us, you won’t have to! We’re here for you every step of the way, from the first constitution to even walking you through your recovery process. Call us today to get started!